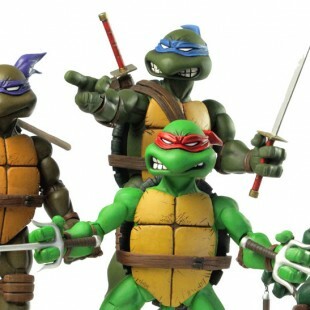 Mondo TMNT Figures Mondo is company out of Texas that started out in 2004 producing t-shirts with classic film images and old school iron-on decals. Since then, they have specialized in re-creating some of Hollywood’s most iconic film posters in limited edition prints — some of which have sold for thousands of dollars! And now ..